I live on the Pacific Rim, in Portland, Oregon, which has a Chinese Gate, marking a long history of East-West traffic. The Dragon is pretty much a powerful creature but more often celebrated than demonized. We have parallels in the west, but in Genesis the serpent plays a decidedly negative role. Although it’s a “dragon” that St. George would slay, I think that hearkened back to the generally negative connotations in the Bible. Serpents and dragons were one and the same. These days, I do a lot of programming in Python, perhaps another reason to think ahead. True, Monty Python was more the target of Guido’s homage, but the familiarity of the Python, to Athena, really has to be remembered, which brings us full circle, as Athena reminds us of Eve, scholarship I needn’t duplicate here, check the Web. In one re-telling of Genesis, in a limited edition art book called Tetrascroll, the authors of Genesis want to punish any knowing of the Dragon religions, older and further east. That our world is actually a sphere, is also forbidden fruit. 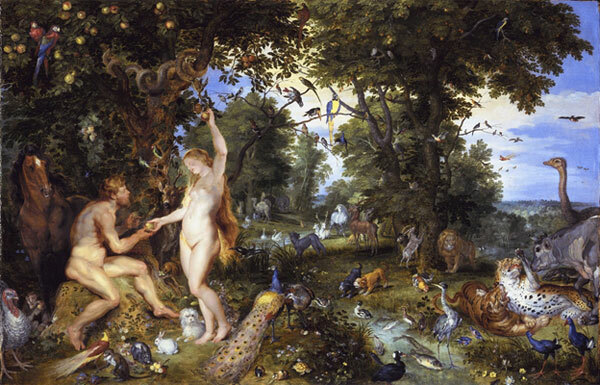 Eve is like the name of a ship, feminine, where ships have ribs and convey Adam, around the world. They’d flip their ships over on shore back then: the ribs became eaves. Like I said, an art book, not real etymology. My friend Sam Lanahan owns one. He went to the Philippines with Bucky in Martial Law days, as a guest of the Marcos family. This was well before I knew him, even though I was in high school in Manila in those days. Our paths would cross later.